Weddings — Order Delicious Artisan Brownies Online | Simply Cake Co.
We make bespoke wedding favours, brownie/millionaire mountains and wedding cakes in Norfolk. We’d love to work with you to create your dream cake, see some testimonials from previous customers here. We have some amazing VEGAN options too! If you’re looking for a vegan wedding cake in Norfolk, don’t hesitate to get in touch. 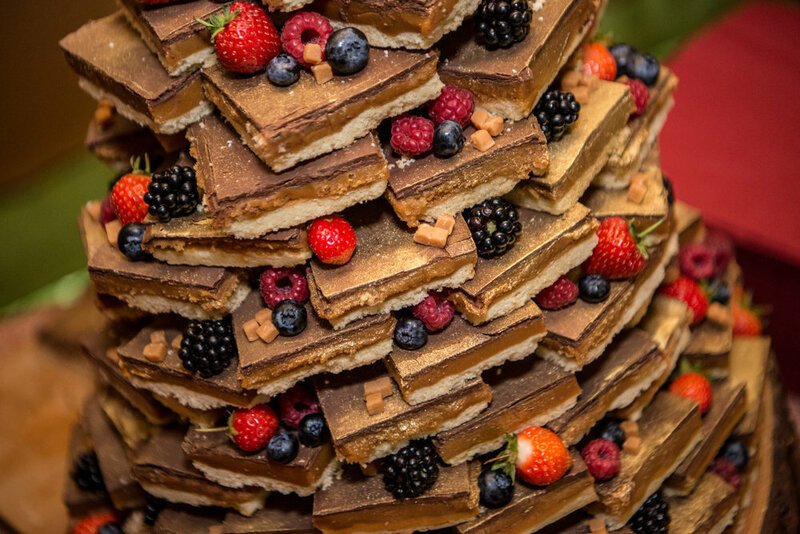 Why not have a huge mountain of brownie or millionaires shortbread as a very fun wedding cake alternative. They look great, they taste great and they’re much easier to cut! Have a look at the images below for quirky wedding cake ideas in Norfolk. Not only are these a total show stopper, they are a great budget friendly wedding cake - contact us for an exact quotation but you’ll be looking at around £2 per person including delivery, set up, log hire and some basic decoration. Amazing vegan brownie mountains are also available - contact us to find out about Vegan wedding cakes in Norfolk. The perfect addition to your day - artisan brownie bites packed in little boxes, or individually wrapped bars, making a delicious wedding favour for your guests. Click below for more info.